As people the world over celebrate the birth of Prince of Cambridge, C&IT highlights Scottish meeting and events venues with a royal touch. 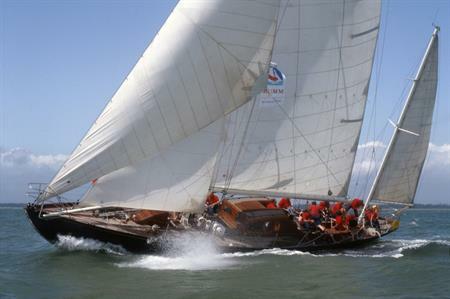 The Royal Racing Yacht Bloodhound: In July and August 2013, the 63 foot Bloodhound, a classic 1930s yacht which once belonged to Her Majesty The Queen and His Royal Highness the Duke of Edinburgh, is available for charter out of Oban. During this time, the vessel is available for day charter groups or individuals who wish to step back in time aboard this icon of British sailing, perfect for sailing enthusiasts, company incentives or team building. Up to eight guests will enjoy sailing through the stunning scenery off Scotland’s West Coast, as well as the hospitality of the Skipper and crew who are all former HMY Britannia ‘Royal Yachtsmen’. Scone Palace: Once the crowning place of Kings of Scots, Scone Palace occupies a unique position in the history of Scotland as the rightful home of the celebrated Stone of Scone, also known as the Stone of Destiny, on the famous Moot Hill. Today, Scone Palace is the home of the Earls of Mansfield and combines unique heritage and a stunning location to provide a setting for events. This historic palace can be reserved exclusively for receptions and dinners in the state rooms for a capacity of beween 20 to 300. Over 100 acres of parklands are available for outdoor events and product launches, and salmon fishing is available on the famous River Tay. Glamis Castle: Birthplace of Her Majesty Queen Elizabeth the Queen Mother and legendary setting for Shakespeare’s Macbeth, Glamis Castle is a stunning stalwart of Scottish hospitality. Situated within easy reach of the golfing gems of ‘Carnoustie Country’ this romantic castle has entertained countless Royals and continues to be popular with corporate and incentive guests. Glamis can host gala dinners for up 90 guests, as well as offering a personalised tour or an intimate VIP lunch. And with extensive grounds, the estate is well-suited to outdoor events and teambuilding activities of all kinds. Stirling Castle: Centrally positioned between Edinburgh and Glasgow, Stirling Castle towers over the surrounding countryside and is linked with Mary Queen of Scots, William Wallace and Robert the Bruce. The 16th century Great Hall and the Chapel Royal offer unforgettable settings for memorable events and the castle lends itself in particular to medieval and Scottish themed dinners for up to 400 people. Groups can enjoy dinner with entertainment provided by costumed performers in the role of guards and ladies in waiting, enabling guests to step back into the court life of the 1540s. Argyll’s lodging, a 17th century townhouse located in the shadows of Stirling Castle, is also suited for small day or evening gatherings.